Italy, home of high fashion, fine wine and cars with soul. It might be a cliche, but the Italians know how to build a car that sounds good, looks good and ignites the senses. 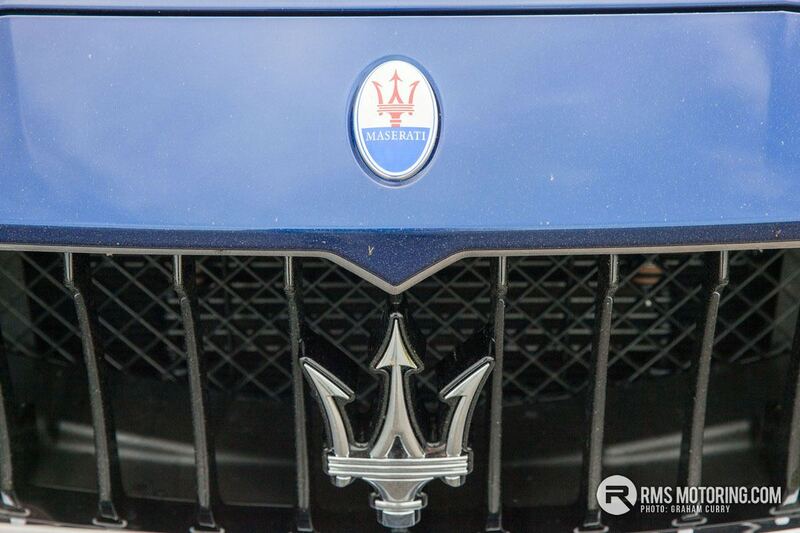 Welcome to the world of Maserati cars, perfectly suited for those of you who do not want to conform with ‘Joe next door’, for those who want quality and luxury in abundance, and for those who feel the need to stand out from the crowd. I am a fan of thinking outside the box and not conforming to what most see as ‘normal’ What actually is normal though? 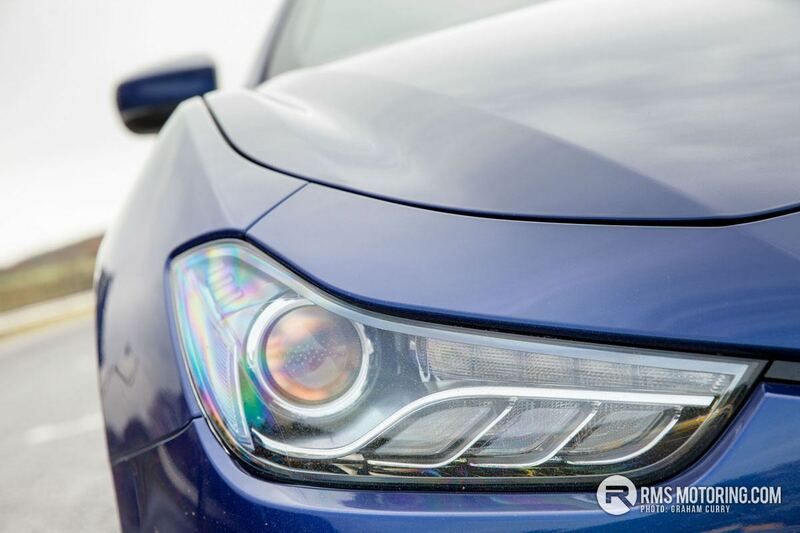 There are obvious options in the crowded an executive car segment: BMW 5 series, Jaguar XE and Mercedes E class offer a mind-boggling host of engines, trim levels and options. Once you’ve ticked all the boxes and loaded the equipment you desire, you could easily be heading north of £40k. And for what? A car that’s potentially indistinguishable from the school runner that lives two doors down. 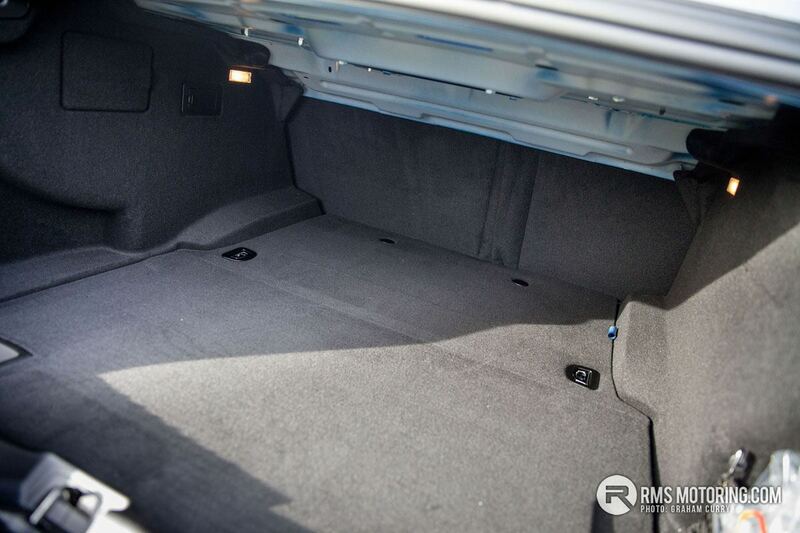 This is where the Maserati Ghibli comes in. The design is unique and stylish. 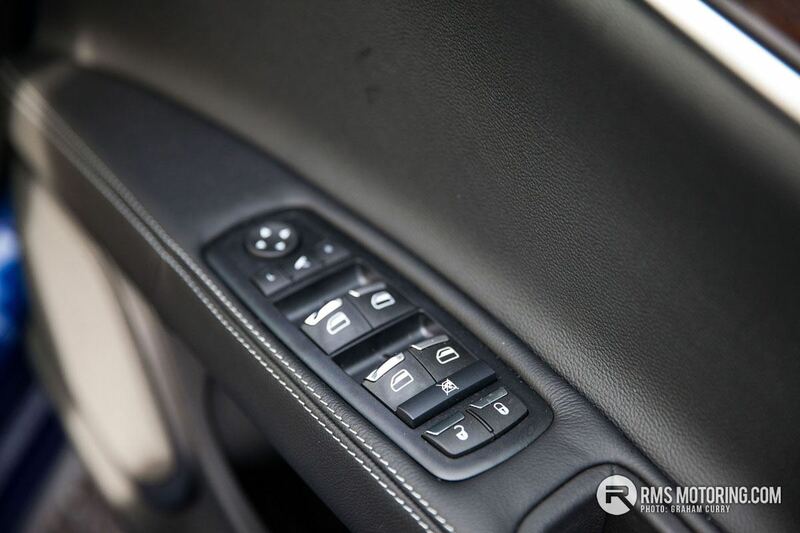 Open the door and the interior exudes luxury; the car has a nimble, sporty chassis like as standard, and all for less than £50k. Yes, that’s right. 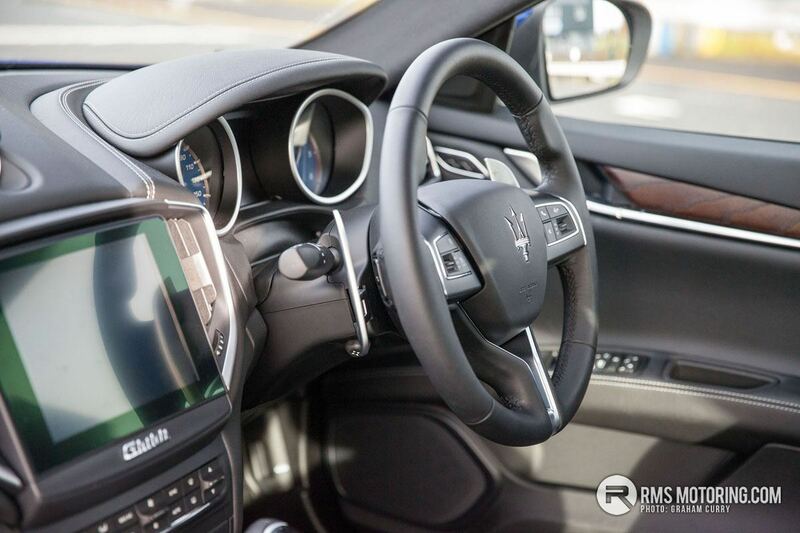 And I never thought I would ever say it, a brand new Maserati for less than £50k. 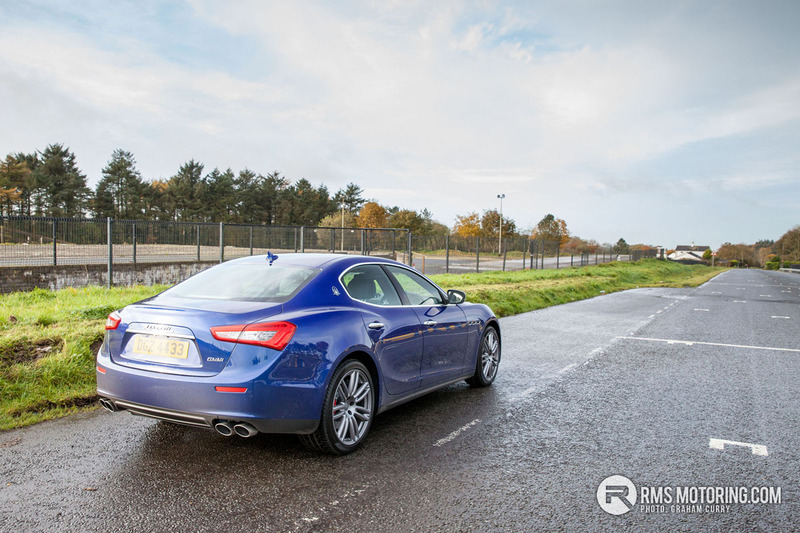 The Ghibli I tested thanks to Charles Hurst | Maserati Belfast is a real head turner in the ‘Blu Emozione’ metallic paint with its arch hugging 20” alloys. A low slung nose swoops into the vented wings and the rear bulbous quarter panels add a touch of well-balanced elegance. 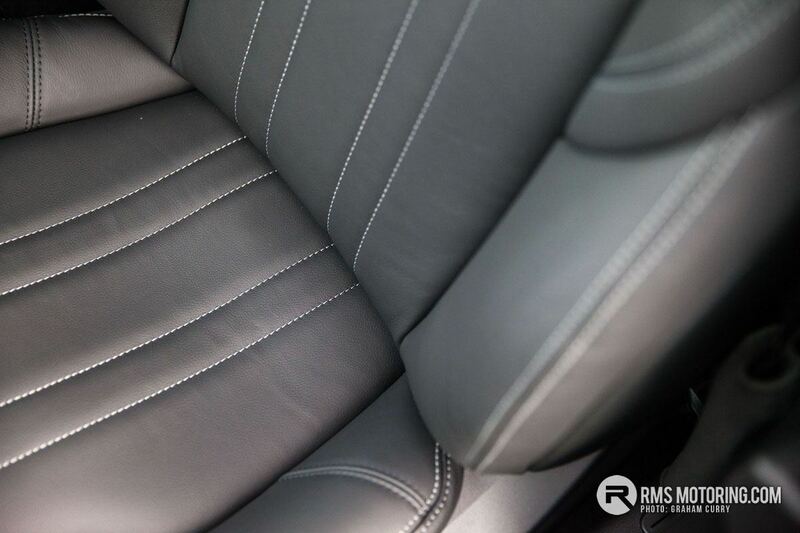 The deep leather seats not only look great and feel great, they smell great too. 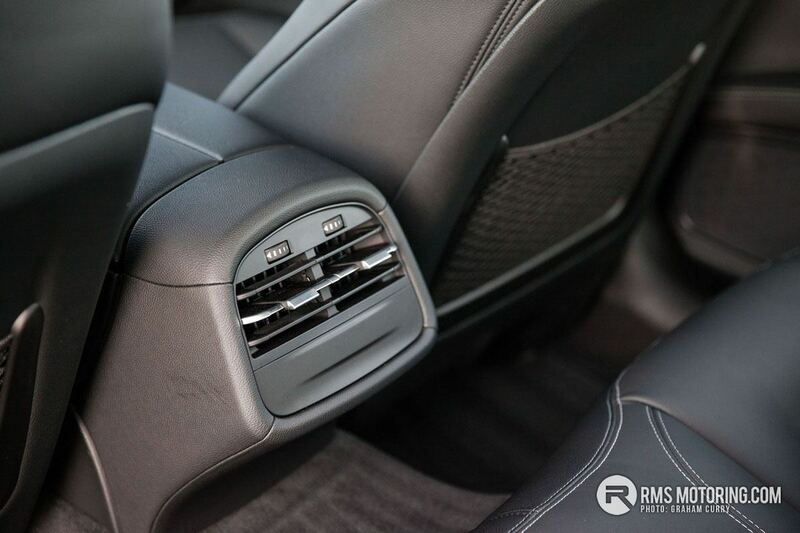 In fact, the whole cabin is swathed in sumptuous black leather with contrasting white stitching. 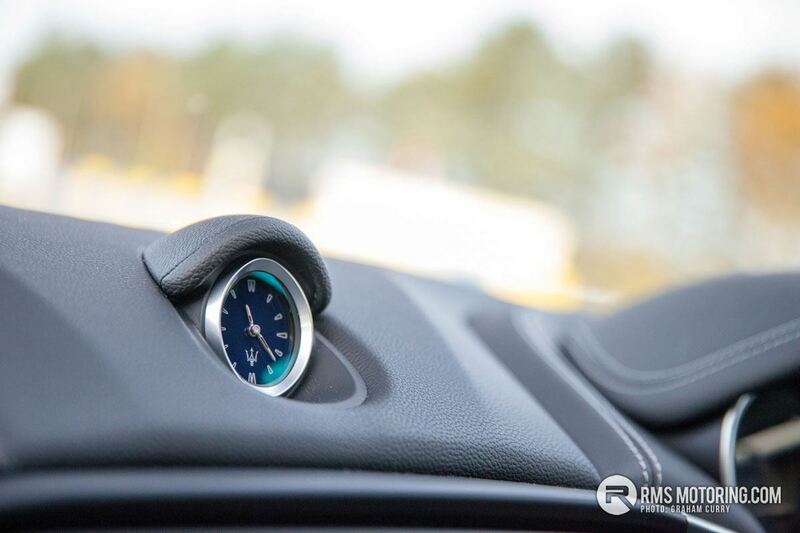 Only very funky analogue clock protruding from the top of the dash breaks up the acres of luscious cow hide. 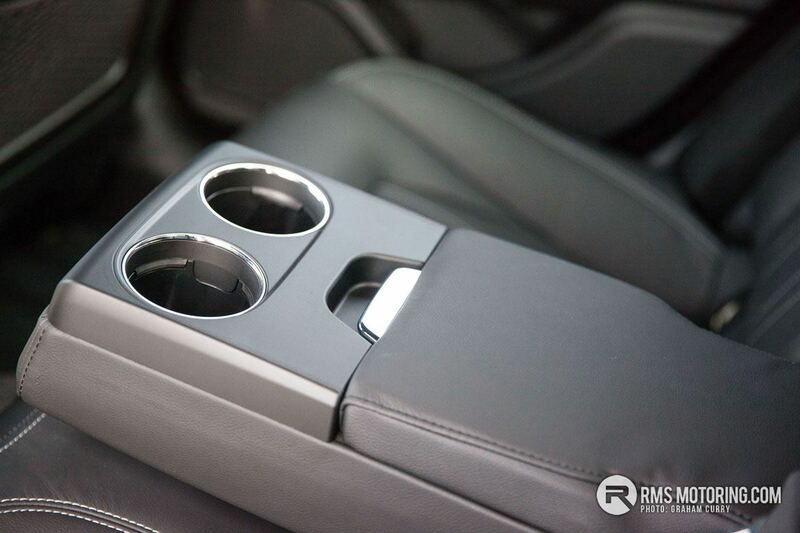 The luxury feel is added to with dark materials used on the pillars and headliner whilst a very contemporary wood trim has been used on the doors and centre console. The way the wood is finished may not be to everyone’s taste but I think the choice is refreshingly different. 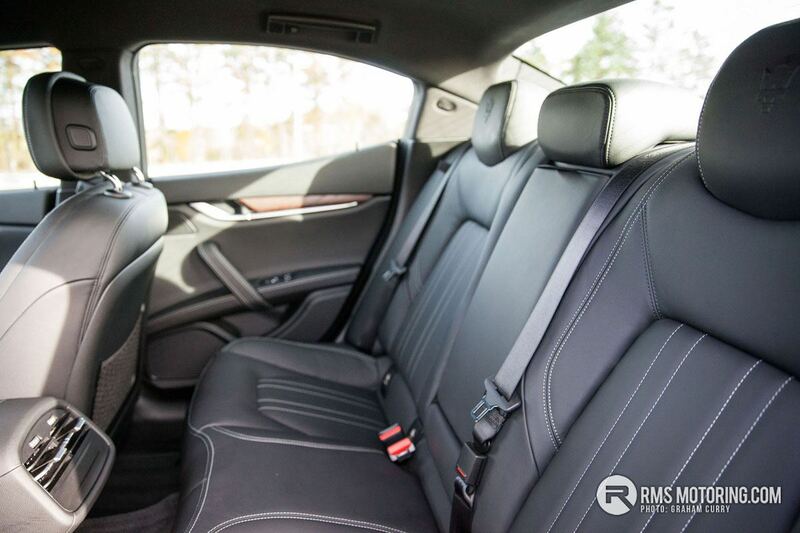 Rear seating is ample for two adults, whilst comfort is aided with central air vents and a central armrest with drinks holders. 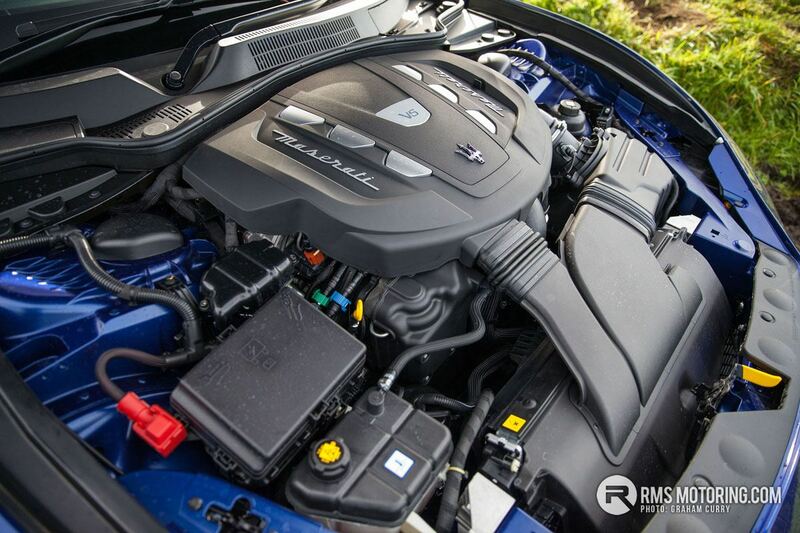 Engine-wise, the choices are a 3.0 V6 petrol from the Ferrari stable producing 350bhp in the Ghibli and 410bhp in the Ghibli S. The diesel unit, on the other hand, kicks out 275bhp and 600Nm of torque. Weight is kept to a minimum where possible by using aluminium panels. Even a lot of the metal components around the engine are made of alloy in the name of weight saving and perfect distribution. I was not disappointed by the Ghibli diesel as it was very refined and pulled incredibly well in all gears, right through the rev range. 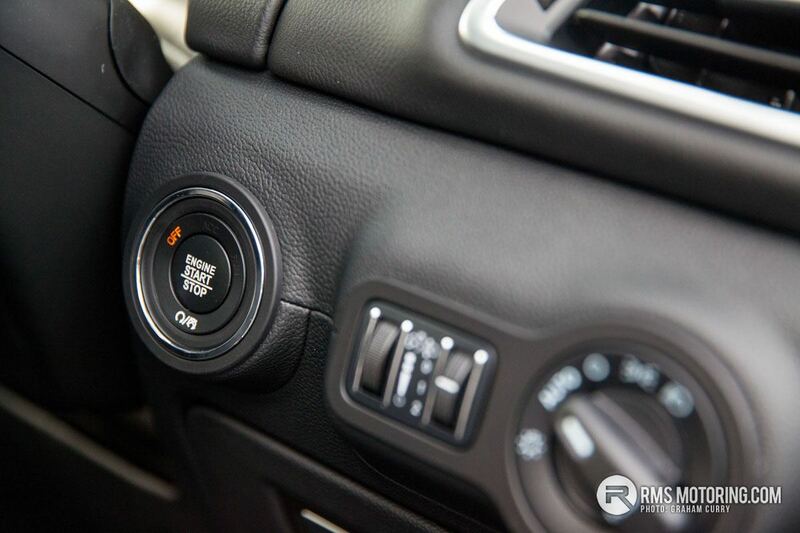 The gearbox is an 8 speed ZF automatic, with optional paddle shift (as fitted to this car). 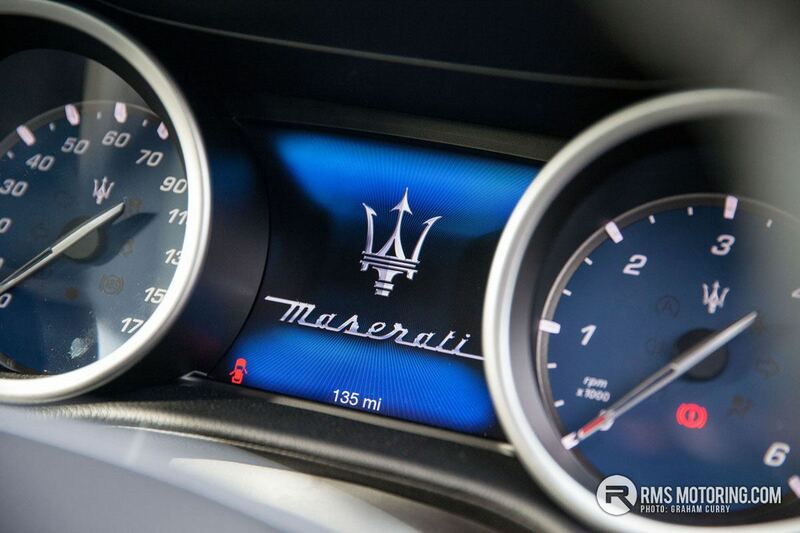 Maserati has always been about the driving experience and things are no different for the Ghibli. 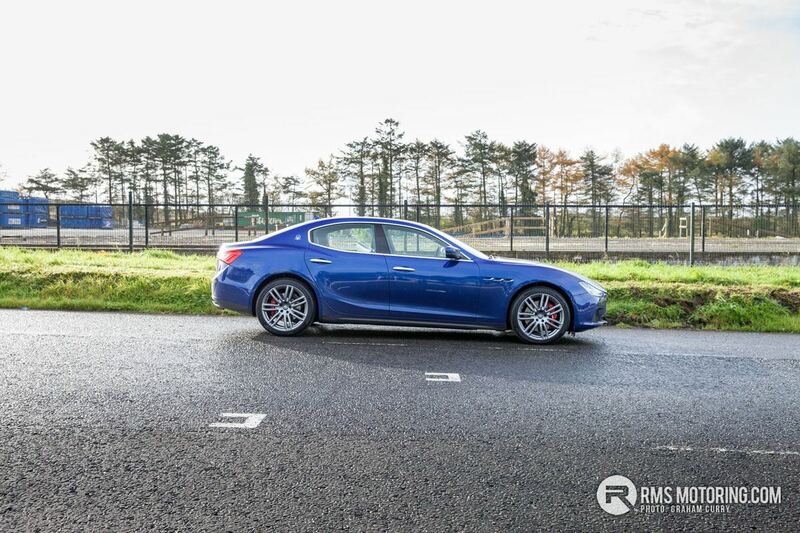 I would go as far as saying that it is the best driving car in the class (I have not yet driven the Alfa Giulia which may give it a run for its money) and is one of those cars that you don’t need an excuse to just go for a drive in. 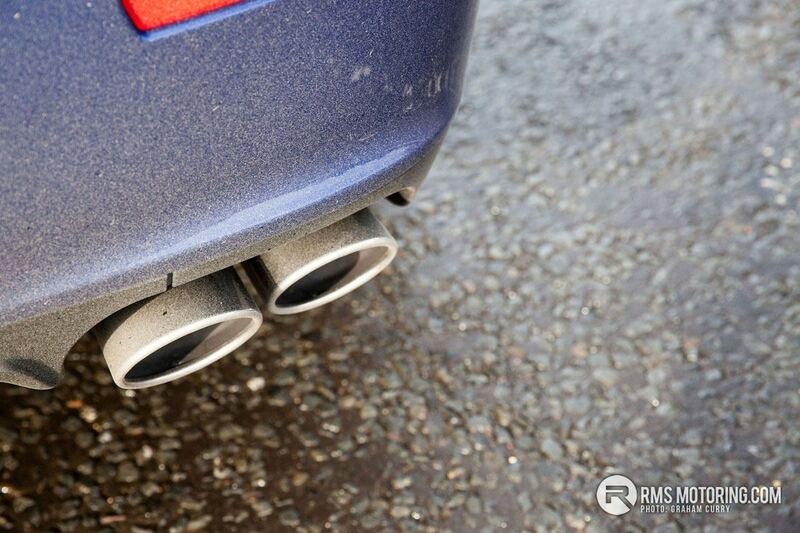 With a 50:50 weight distribution (or very close to it for the Ghibli diesel) the car has poise and exceptional balance. 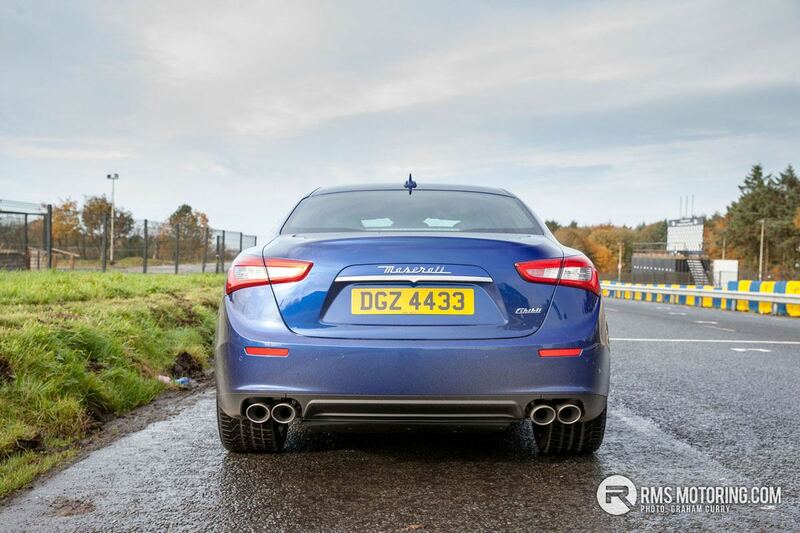 In fact, a lap of the famous Dundrod Ulster GP circuit only confirmed how majestically the Ghibli delivered power and handled the swooping curves and hollows of this iconic road racing track. 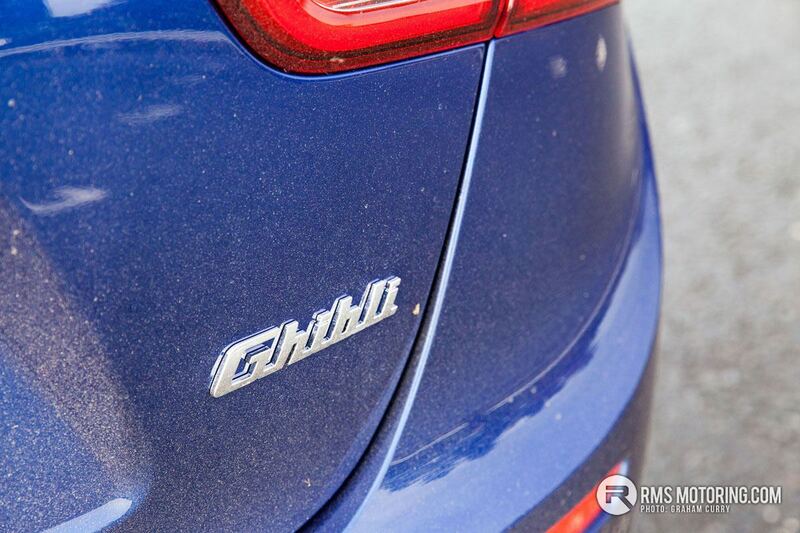 Annual road tax on the Ghibli diesel tested is a mere £185/annum and will return in the region of 40mpg. 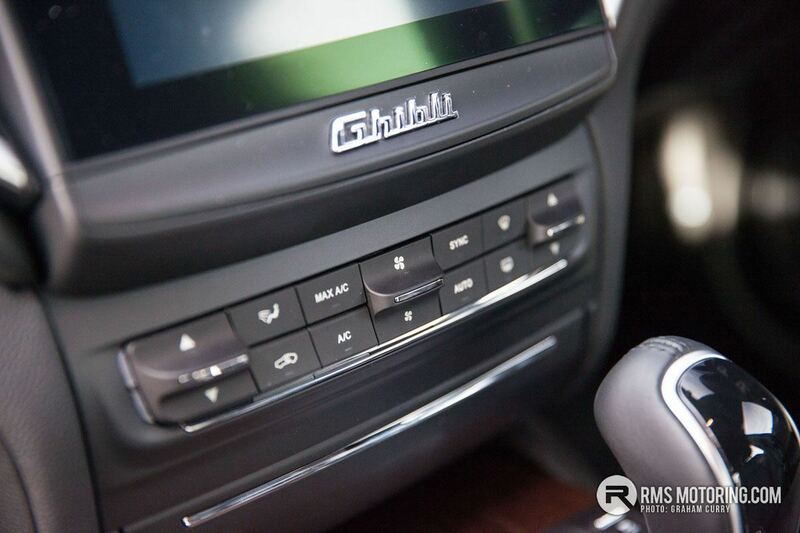 Overall, the Maserati Ghibli is practical, yet dripping with Italian style. 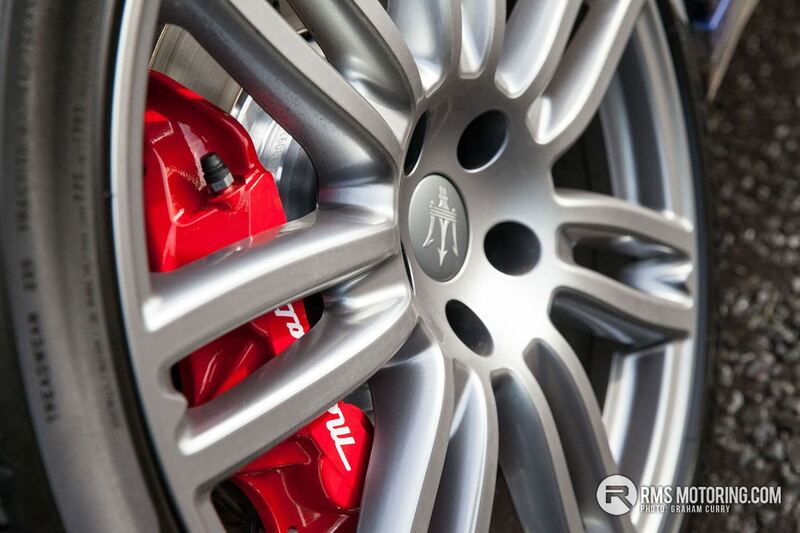 It has the feel of a sports car, has incredible driver appeal and looks like nothing else on the road. Pricing starts from £49,860 for the Ghibli diesel with the Ghibli starting from £54,325 with the range-topping Ghibli S can be bought from £65,325. 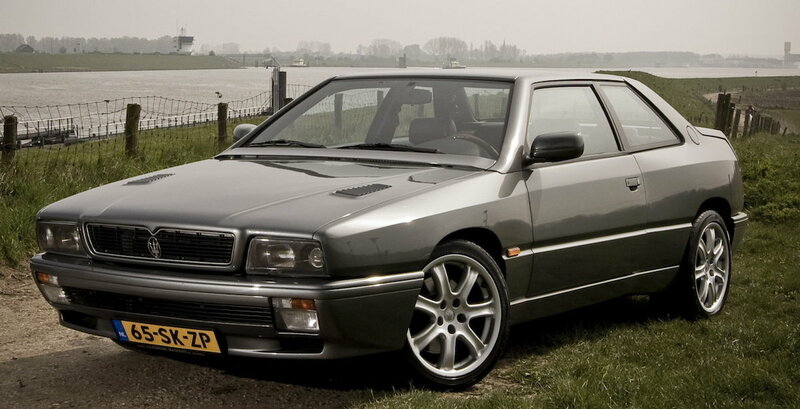 Was behind a gold coloured one of these today and it was the first new car in a good while to catch my eye. Looked very wide and nicely proportioned from behind. Love these, there's a black one up here and it looks great. 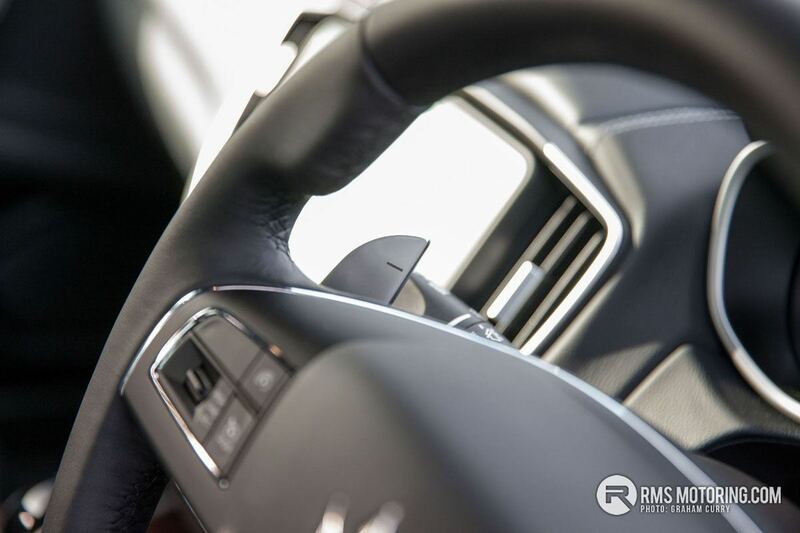 Nice article and pics G.
I love Maserati and aim to own one before I'm 45. But I just can't warm to the shape of the "giblet". 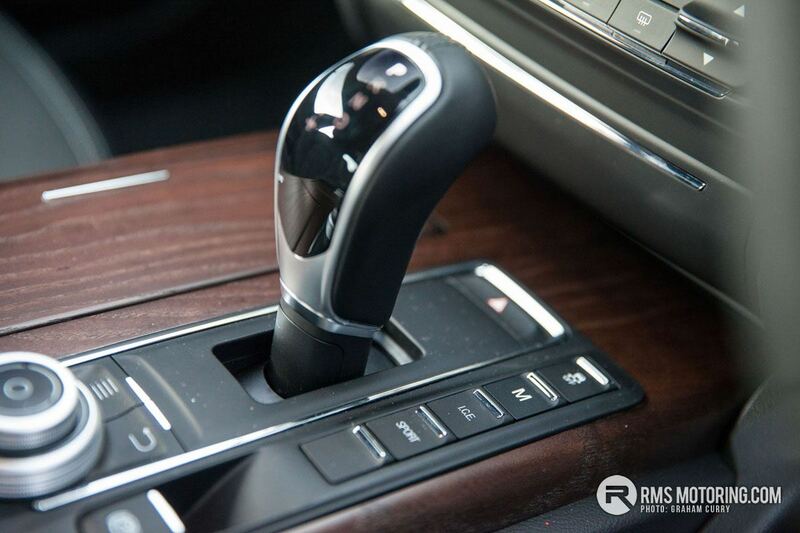 Its like the Porsche Panamera, there's just no need. Each time I see both of the above I just think they are to the retrospective manufacturers what the vel satis was to Renault. 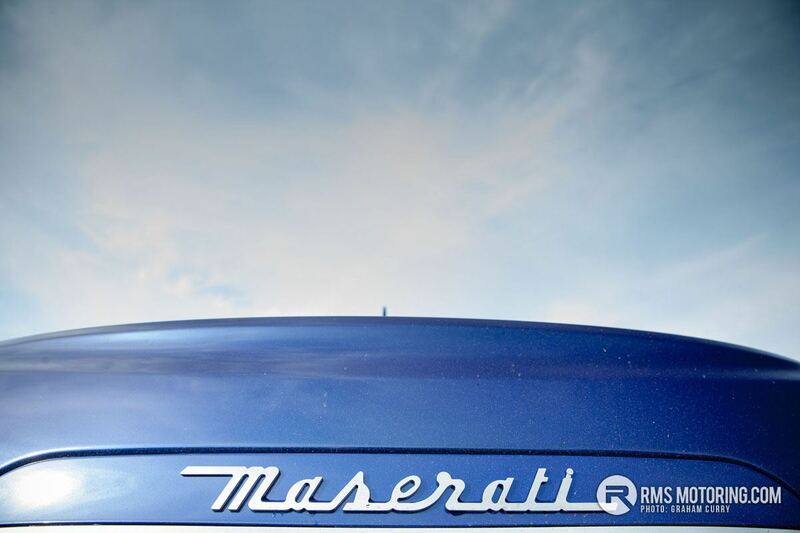 Ghibli.... from this http://www.classicandperformancecar.com/uploads/cms_article/1101_1200/1969-1974-maserati-ghibli-1186_1119_969X727.jpg To this https://di-uploads-pod3.s3.amazonaws.com/maseratiofalbany/uploads/2015/07/Maserati_Ghibli_Coupe_19921.jpg To a big fat four door derv saloon?